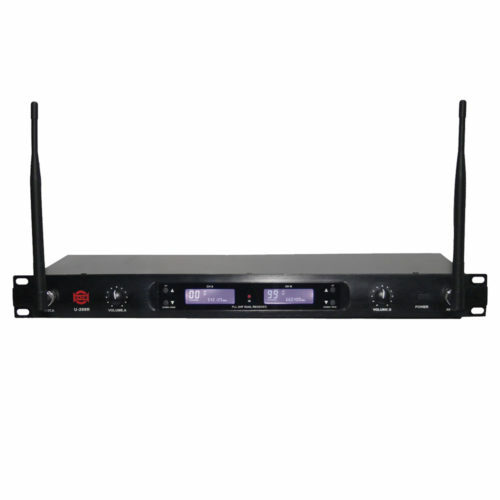 RUD-802 is a dual channel UHF wireless system made up of RUD-802 receiver coupled with U-299H metal / U-899H plastic handled microphones and U-899P pocket transmitters. 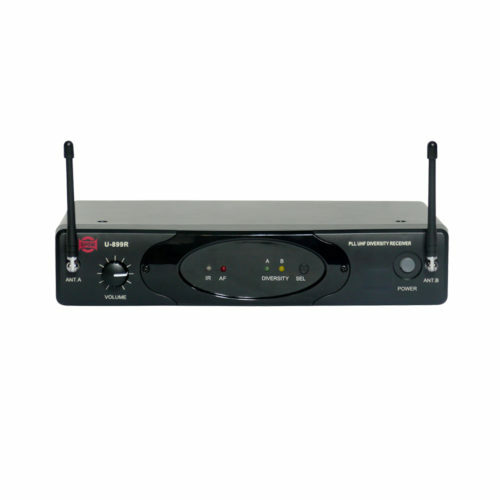 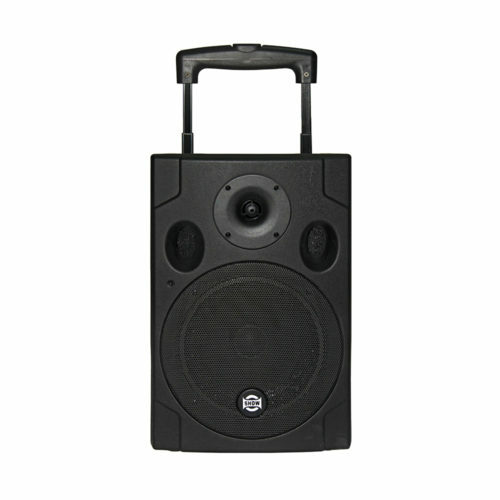 RUD-802 is a dual channel UHF wireless system consisting of RUD-802 receiver, U-299H metal / U-899H plastic handled microphones and U-899P pocket transmitters. 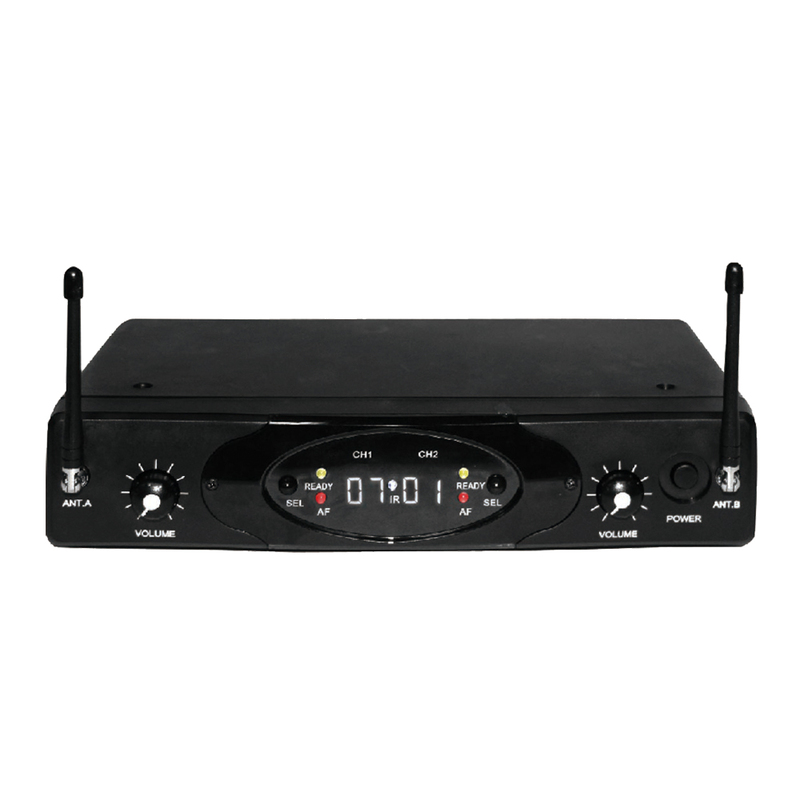 It features PLL synthesized technology allowing up to 100 frequency presets in the UHF band for both channels. 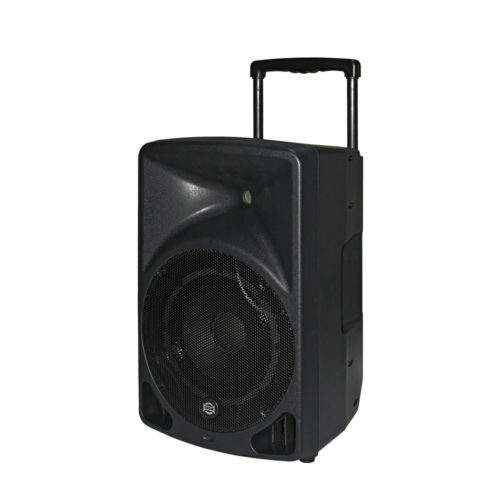 Easy to setup and to operate, RUD-802 system performs with a constant acoustic quality over its distance of transmission. 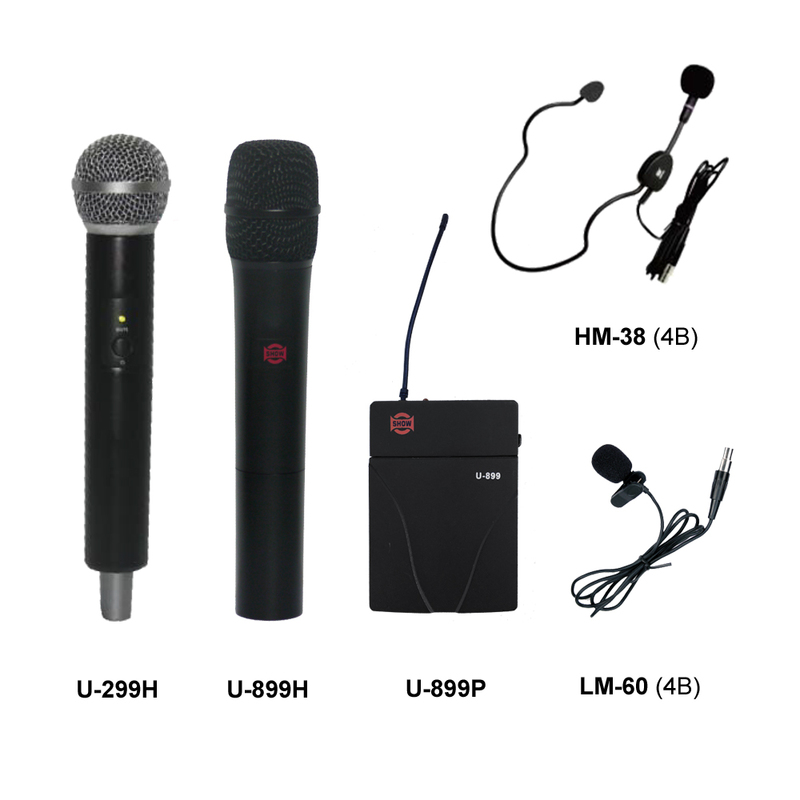 It is a perfect system for KTV singers where two handled microphones can be used simultaneously without interferences. 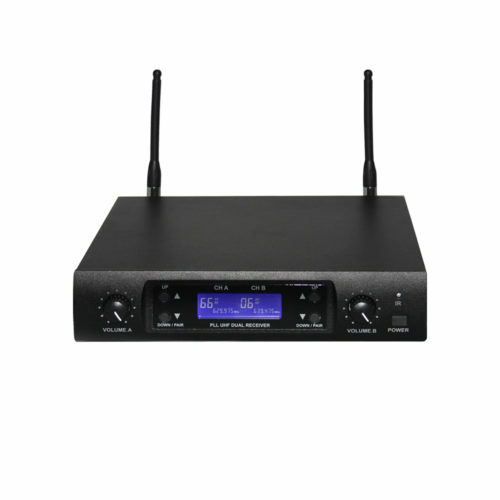 Pocket transmitter can be connected to LM-60(4B) lapel or HM-38(4B) headset microphones for a large choice of applications including conference, live events or AV presentations. 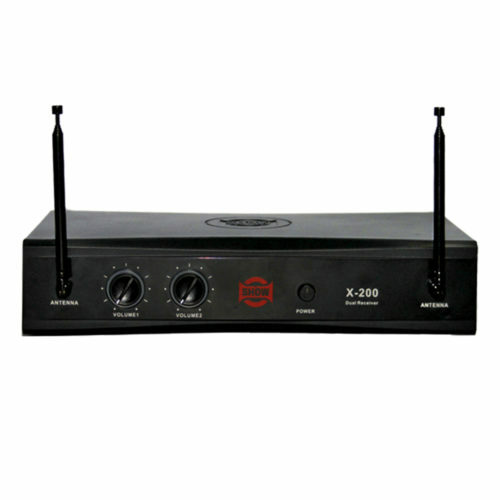 RUD-802 is equipped with infrared system automatically coupling the transmitters with the receiver on the right frequencies.